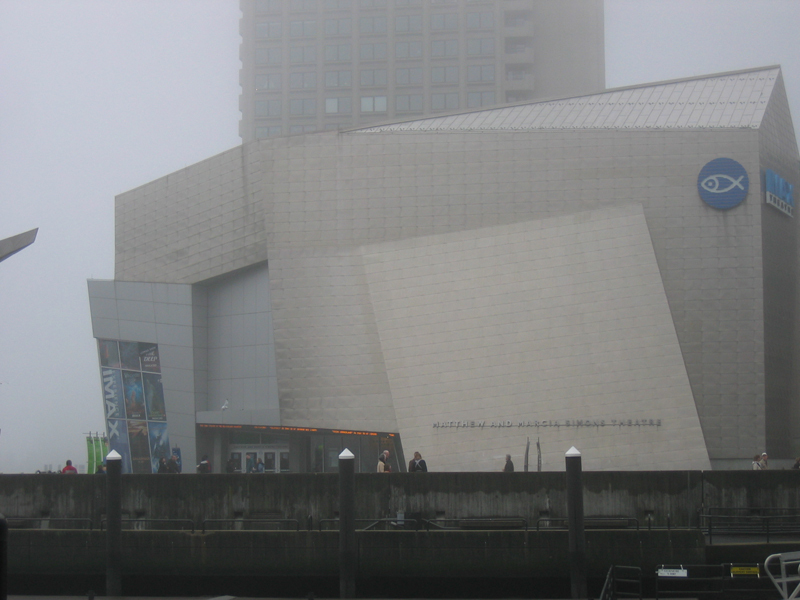 On December 10th and 11th, I visited Boston to have dinner with some friends and do some sightseeing. 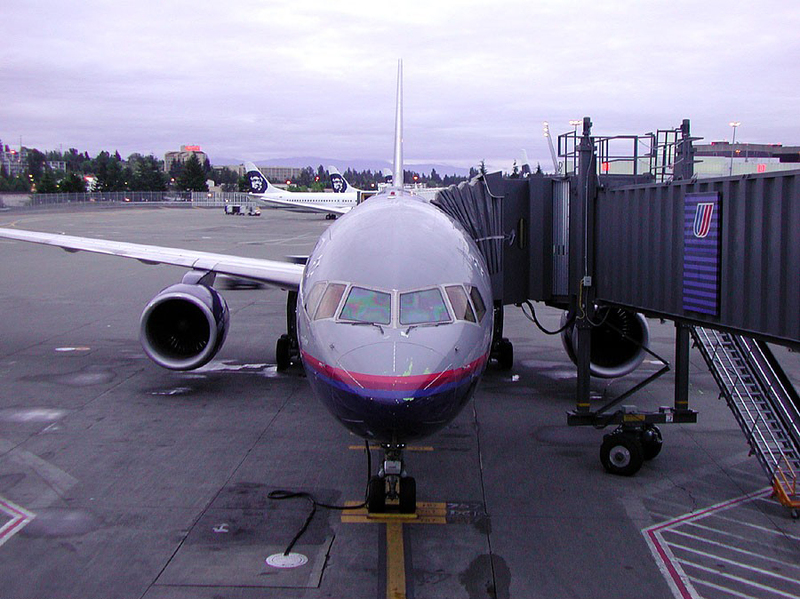 UA 244 Seattle (SEA) to Denver (DEN), a Boeing 757-200. 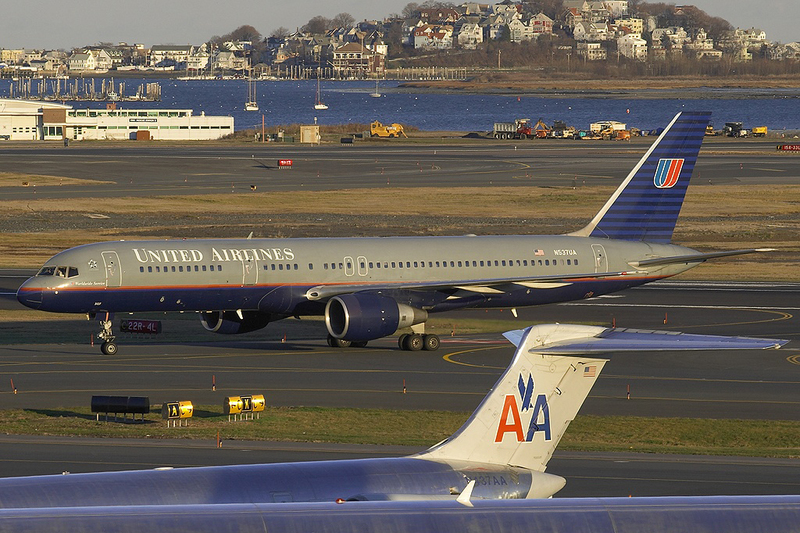 I flew the same type of plane from DEN to Boston (BOS) on UA584. 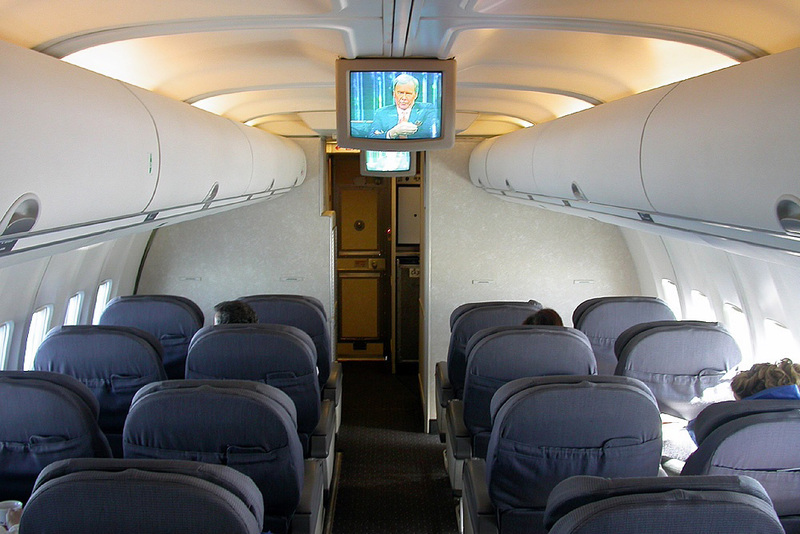 This is the United First Class cabin on the 757-200. I had seat 1B (the one in front, aisle, on the left). As you can see, the flight was empty. I had the same seat on UA584. It's a boid! A boid in a tuxedo! 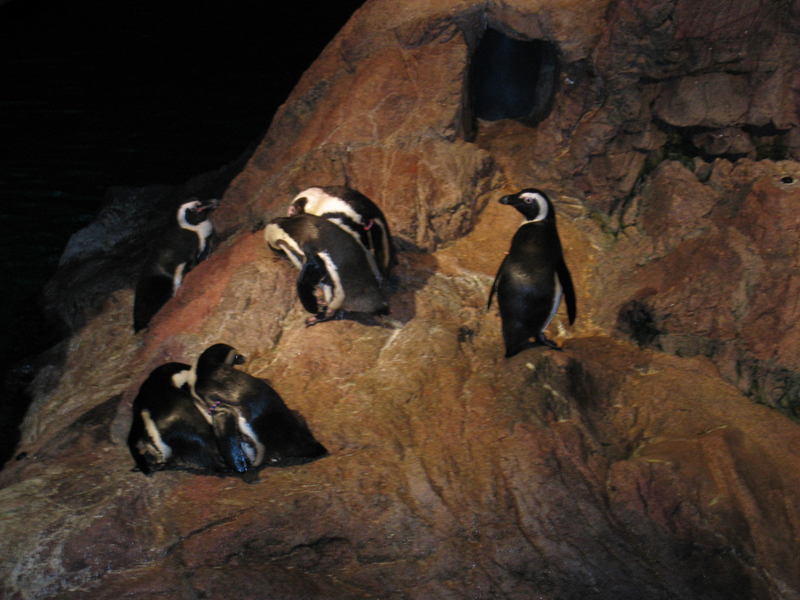 Penguins at the Aquarium of New England. 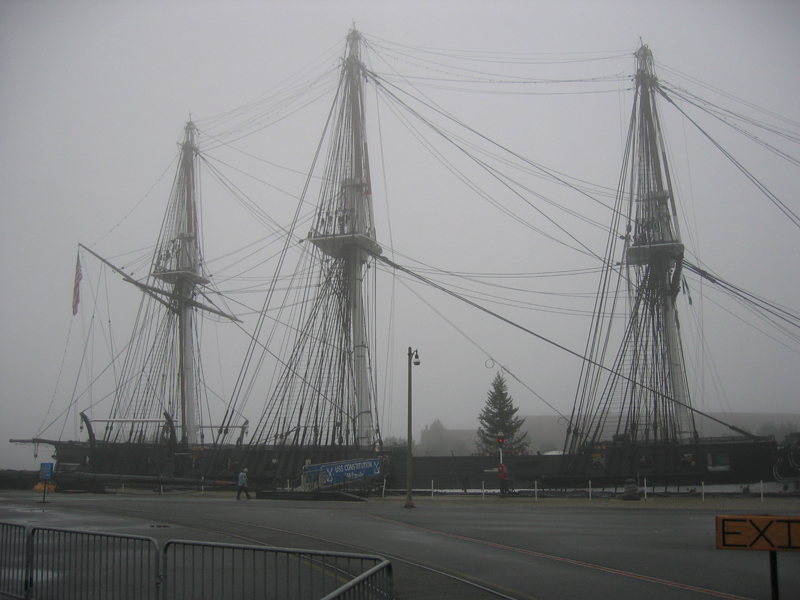 "Old Ironsides". 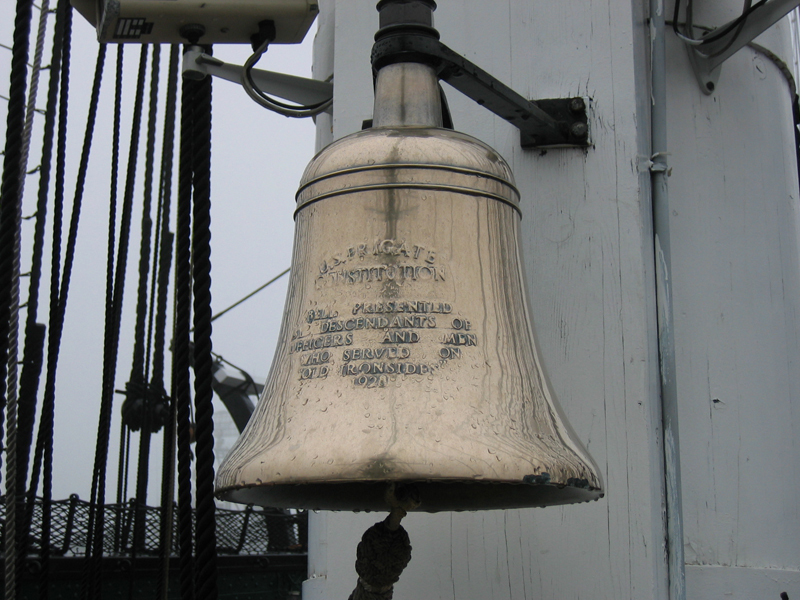 At 220, she is the oldest commissioned warship in the United States Navy, and probably any navy in the world. The rain from Friday had stopped, but the fog was down to the water. Taken at Charleston Navy Yard in Boston. If you have never seen a film in IMAX 3D, you really need to. I saw "Ocean Experience" and "Galapagos". "Galapagos" was incredible. 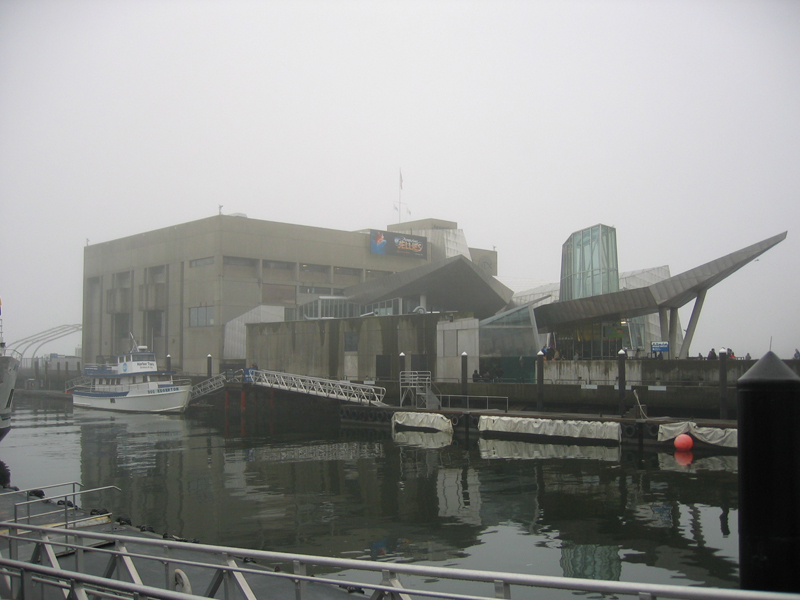 The Aquarium of New England in Boston Harbor. 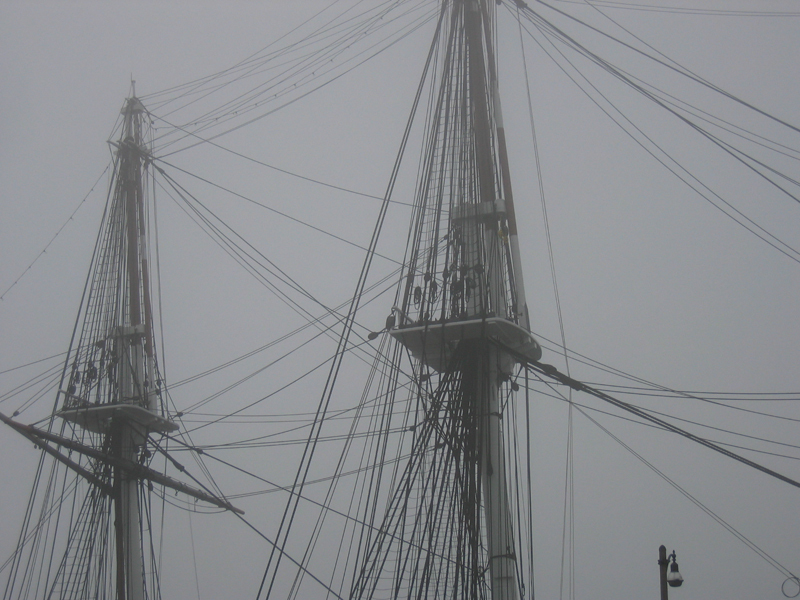 I pity the seamen who have to keep that rigging in shape. The last thing 33 opponents saw - a full broadside ready to fire. 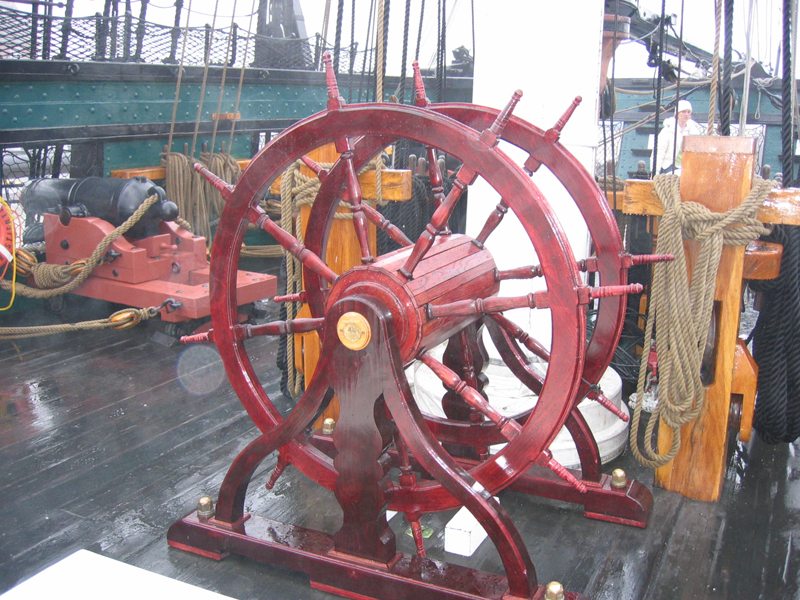 The ship's wheel. This is a replacement. 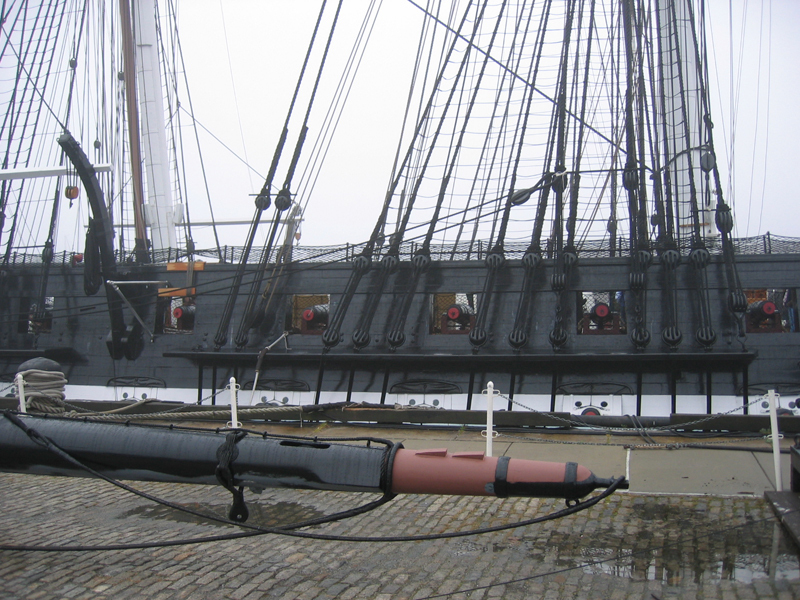 The original was destroyed by cannon fire during the War of 1812. 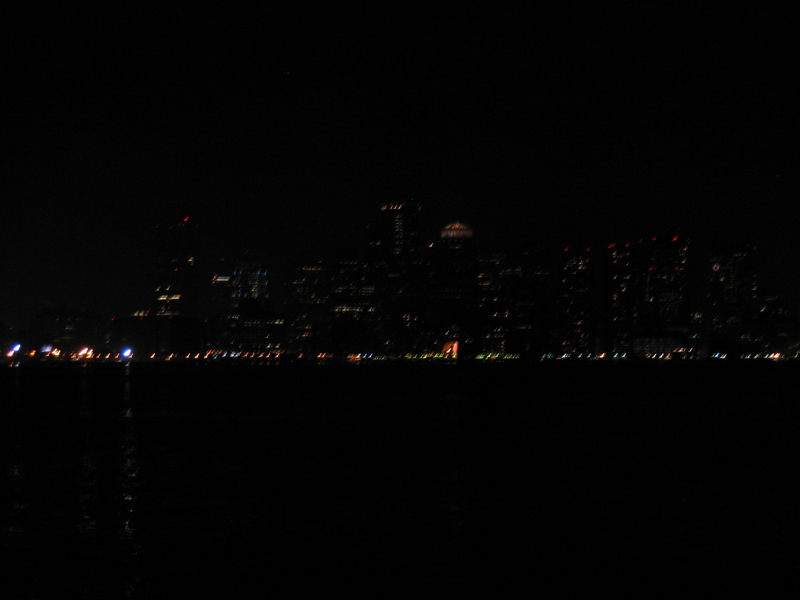 The Boston Skyline at night from my hotel - the Hyatt Harborside. 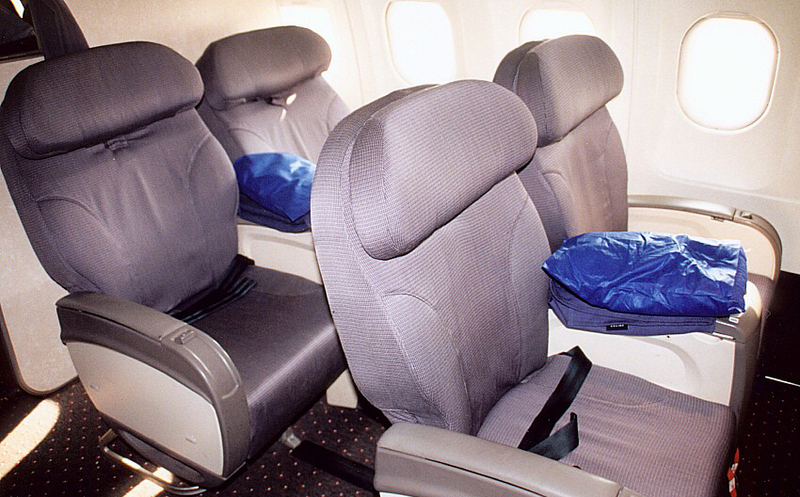 Rows 2 and 3 of the A320. Coming home. 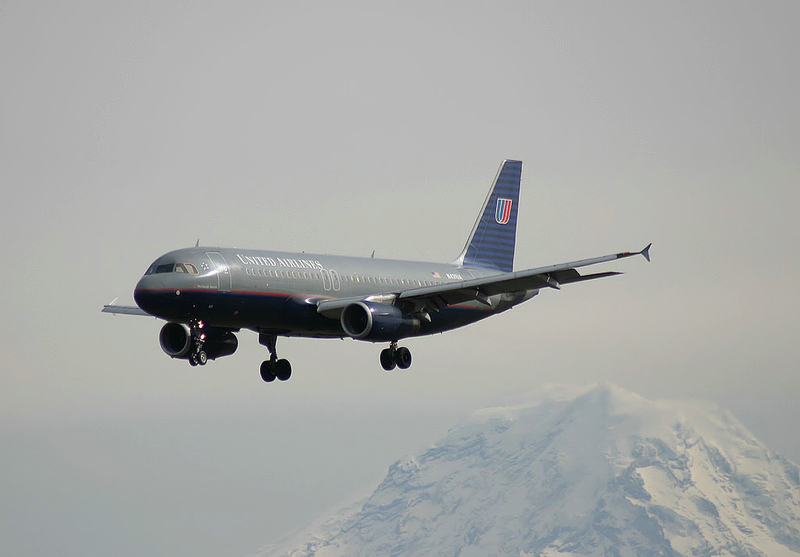 UA217 on final to Seattle, with Mount Rainier in the background.